Happy Thursday! I know January’s nearly over, but here’s a New Year-themed post to keep the party going! I’m not really one for New Year’s resolutions – they never seem to stick – and “lose weight” is a perpetual goal for me anyway). 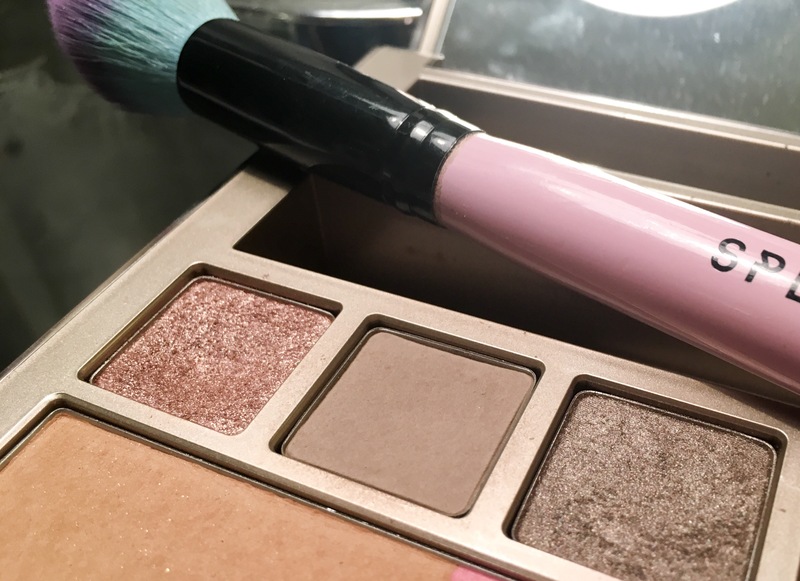 This year, I’ve decided to set some beauty-themed resolutions – mostly for fun, but also to help break bad habits and (try to) up my beauty game. It didn’t take me long to come up with an arm’s-length list of things I could do differently – I’ve narrowed it down to five general ones so far, and there’s definitely some interesting points that I’m sure apply not only to me, but others out there. 1. Look after my hair properly! I have never been here for haircare – preferring to just wash it and let it air dry so I can spend more time/effort on makeup. However, since deciding to grow it out long, I’ve realised that it needs far more TLC than I give it. All of the miniature leave-in conditioners and sprays that I’ve had from subscription boxes are left mostly unused in a drawer somewhere, since I’m not a big fan of putting lots of product in my hair (aside from heat protectant when required). So, my first resolution this year is to embrace haircare, and try out new things to step up my haircare game and put all those untouched bottles to use. From what I’ve tried so far, my favourite things are the hair oil from Number 4 and my Wet Brush (best hairbrush ever). This resolution also includes letting my hair dry properly before I go to sleep – something I am massively guilty of not doing. I find if I let this happen, it’s either still damp when I wake up or I end up looking like Meg Ryan in Working Girl (before the makeover). Hopefully taking care of my locks will ease my hair-related frustrations, but I don’t think I’ll ever achieve L’Oreal-advert-levels of shininess and swish. Ok, so apparently contouring isn’t a thing anymore? Not that I give a flying F about beauty trends, but I definitely think I could do with learning how to sculpt and add definition to my face – which is fairly round to start with. The biggest problem I’ve had with this contouring business is my skin tone – it’s so hard to find a suitable shade for a ghostly-pale complexion, as most contour powders (at least those at the drugstore) are far too warm. They tend to give an almost Trump-like (orange) effect, which I’m not really looking for tbh. Alas, I have settled for using an eyeshadow from Urban Decay combined with my Spectrum collections brush, but really the pan is too small and the brush too wide to achieve the sharp cheekbone shadow that I so desperately want. So, finding the right contour/contouring tool is way up there on my priorities list this year. I’m definitely a play-it-safe kind of person when it comes to eyeshadow. 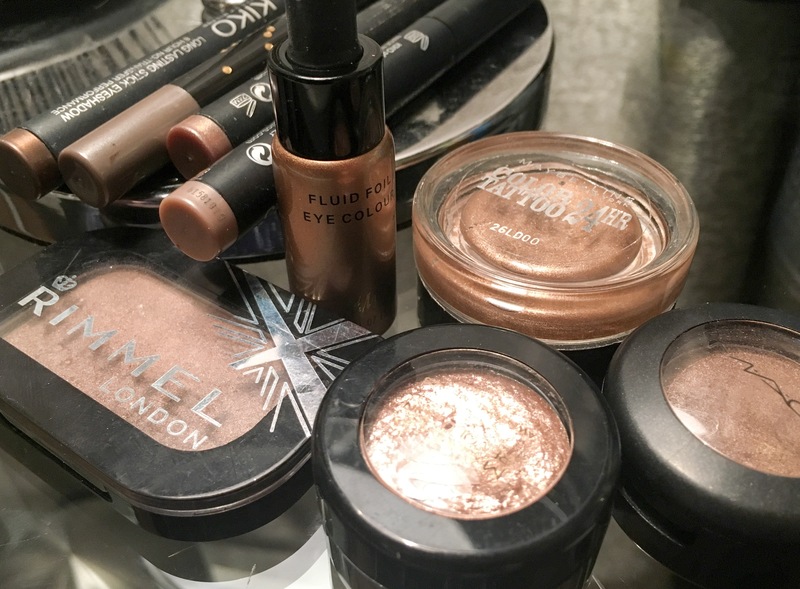 Any neutral-warm browns and bronzey colours I have are the most used in my collection, and for good reason – they are flattering, easy to wear and really suit me. 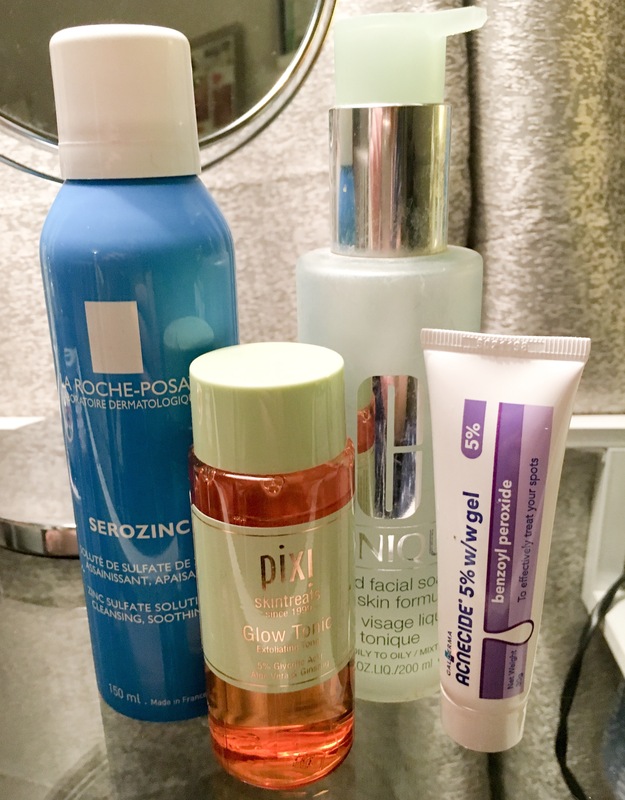 My poor skin – we have a total love-hate relationship which honestly, is mostly hate. I tend to suffer from some not-very-nice cystic acne on my chin/jawline due to PCOS (fun condition, guys), as well as dealing with redness and scarring on the rest of my face, so trying to get my skin under control has pretty much taken over my life these past few years. I’ve done the “natural” route – tea tree gel and toner from Lush, charcoal soap and food-based face mask. While they are the most comfortable option, and they have helped a little, these things are not enough to rid me of the persistent blemishes. I’ve also gone down the path of harsher and more stripping/chemical products. These include glycolic acid cleansers and toners, slathering Sudocrem everywhere and Benzoyl Peroxide. BP is a recent find for me, although in the past my GP did advise that I try it. The Acnecide (excellent name) cream is 5% w/w, and works by attacking bacteria and breaking down oils on the skin – this stuff does work, although some spots are just too stubborn for anything. However, it will leave your face feeling like the Sahara, complete with flakes and all. I feel like I’ve tried everything under the sun, and have really put my face through the wringer – not looking much better for it. 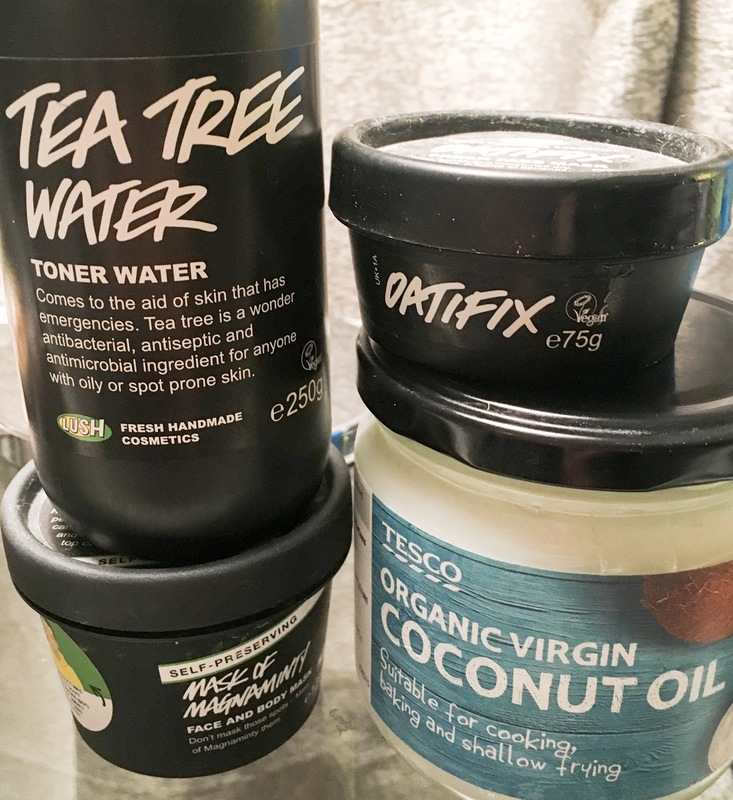 Going forwards, I’m going to tone down my use of harsh skincare and stick to a gentler, more consistent routine (and stop touching my face all the time). Following on from my skincare rant is my last resolution – to invest more in fewer products. This applies to both makeup, skincare and haircare, as I have a tendency to buy lots of things for cheap and not really use any of them. 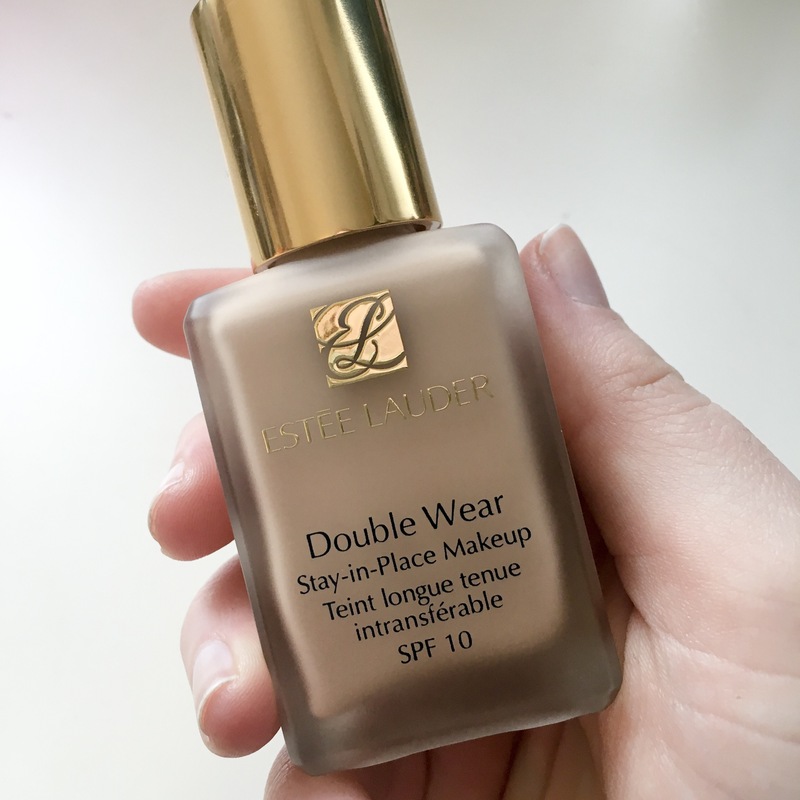 Bargains are great – especially when you find a holy grail product that really does it for you – but I have so many meh things sitting around going unused that I need to narrow my choices down and only repurchase things I really, truly love (for example, Estee Lauder Double Wear – the best foundation ever). In 2017 I’m also going to bite the bullet and splurge on a full set of eye brushes – like this set from Zoeva. My brush collection is sorely lacking in variety, and I’d much rather spend the money on a good value and quality set like this than buy lots of individuals or eBay dupes. RIP my wallet. There you have it – actual resolutions from one of the flakiest people ever (just kidding, it’s only my forehead that’s flaky). I’ll be having a look back at these when the end of 2017 rolls around to see if I stuck to them, and what kind of difference a year makes.